Today's feature is on the visionary of Opal + Wonder, the young lady who adores animals, cats, in particular; the young lady who is sitting on a plane right now flying to Maine to start her 2,180 mile trek on the Appalachian Trail; the young lady who makes her dreams a reality. I (Jodi) am elated to feature the Owner/Creator of Opal + Wonder, Amber McDermid, as our Free Spirit Saturday! 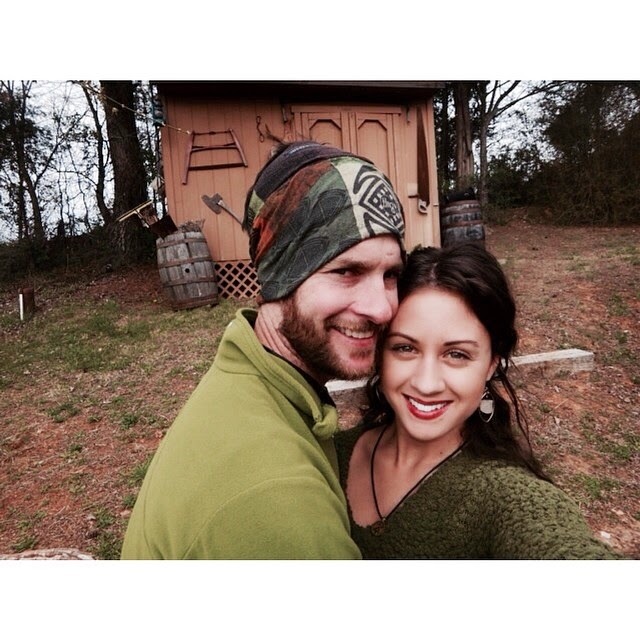 This sincere, sunny Scorpio was born and raised in the Great Smoky Mountains where her love for the outdoors, people, and animals manifested. Amber displays an infectious love for all three; her reviews from the people she has encountered, her actions and pledges for the outdoors and animals speak volumes for her loving nature. I unfortunately have only known Amber for a little over two years now, but her friendship and presence has forever left an imprint on my life. She is a silent warrior, keeping fairly quiet only to observe and soak in all that is going on around her. She takes life day-by-day not letting the insecurities of the future hinder any vision or dream she creates. She is a believer, a wife, a sister, and a friend. She is so many things to so many people. Amber always sees the light, and it shines! As I mentioned above, Amber is on a plane flying to Maine to start the Appalachian Trail (SOBO!) with her husband, Stacey, her father, Rick, her brother, Tucker, and her cousin, Luke. Opal +Wonder plans to keep everyone updated on their walk through the longest continuous marked footpath in the world starting at Mount Katahdin, Maine and ending at Springer Mountain, Georgia . Amber is excited to call the trail home for the next six months. 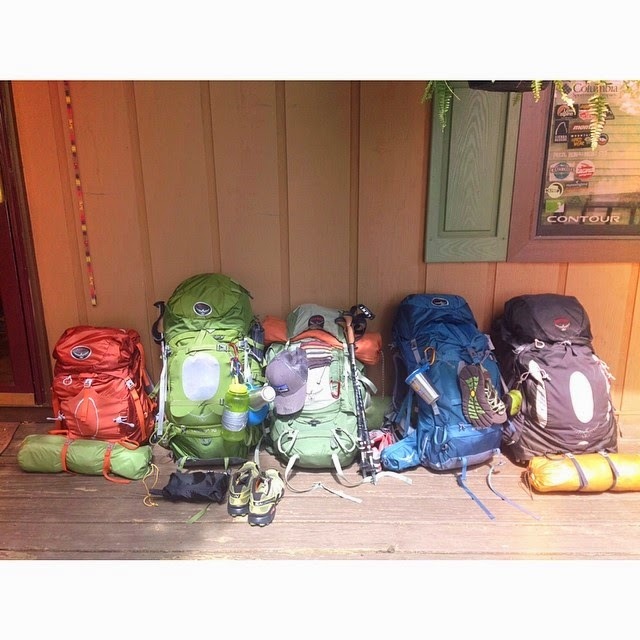 O+W: So your departure for the Appalachian Trail is quickly approaching, what kind of feelings do you have about this adventure? AM: It’s a magical feeling when you can literally feel a dream coming true. I mainly feel weightless with a slight sense of disbelief and anxiousness. I have worked hard for this moment and it just feels like my body is letting out one long, beautiful sigh. It’s happening and I’m ready to welcome the adventure. 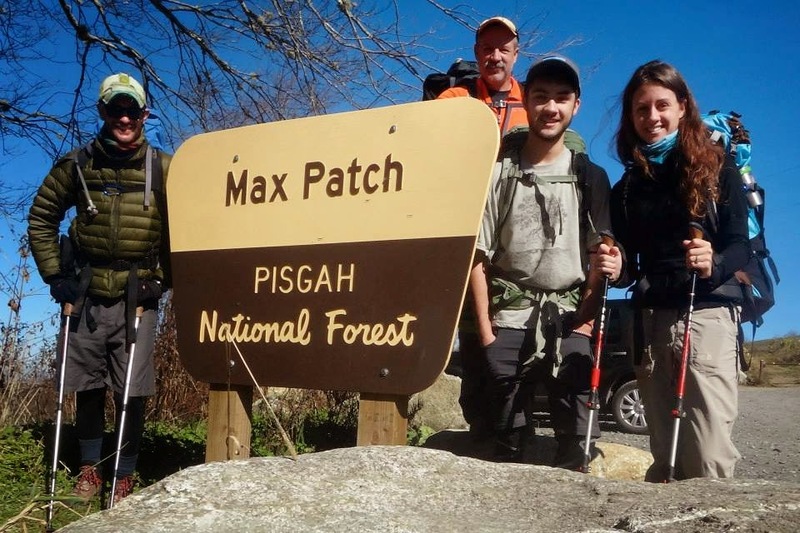 O+W: When did you decide thru-hiking the Appalachian Trail was something you wanted to do? AM: I remember the exact moment when the desire to thru-hike tugged at my heart. It was in the summer of 2010. My dad and I were at the Backpacker “Get Out More” tour and I was listening to them talk about how to properly pack a backpack. I remember thinking how amazing it would be to travel with all of my belongings on my back. On the way home I told Dad that I would hike the AT with him. It had been his dream a long time before then. I knew it was only a matter of time before It would happen. O+W: How long did you prepare/train? What did you do? AM: I haven’t done any special training to prepare physically other than nightly headstands to strengthen my shoulders. It took about 2 months to pack up all of our belongings and take them to storage (aka my in-laws), purchase all necessary gear we were missing, forward bills/ tie up loose ends. O+W: How have you mentally prepared for this trek? AM: I have mentally prepared mainly by researching. I have read blogs, books and watched documentaries to learn what to expect on the trail. I highly recommend Appalachian Trials blog for anyone who is considering thru hiking. O+W: What are you looking forward to the most about the Trail? AM: Simple living and being completely in my element. Oh, and getting a trail name! O+W: What are your fears? AM: I’m not the type of person who worries, so I don’t really have that many fears regarding our adventure. However, if I let myself think about it, my fears might go something like this: forgetting important gear, something happening to take me /my family off the trail, getting sick, getting hurt, running out of money, not liking trail life, my sweet mom being home without us, my cats going missing or getting so hungry that I eat McDonalds. Yeah, something like that. Fears limit you from living though so I just choose not to think like that. O+W: What do you hope to take from this experience? AM: Personal and Spiritual Growth. O+W: What are you excited to see on the trail? O+W: How do you plan to keep a positive outlook when you face adversity? AM: Remembering that suffering is only temporary and it can always be worse. Hopefully letters from home as well! O+W: How much weight are you carrying? AM: My base weight is 28lbs. That’s everything minus food, water and fuel. So I’ll usually be lugging around 30-32lbs around. AM: My humble abode for 6 months will be a Nemo Obi3p complete with a Thermarest NeoAir xlite, eXped air pillow, Sea-to-Summit Thermolite Extreme Reactor and 35 degree Mountain Hardware sleeping bag. O+W: Favorite three musical artists…ready…go! 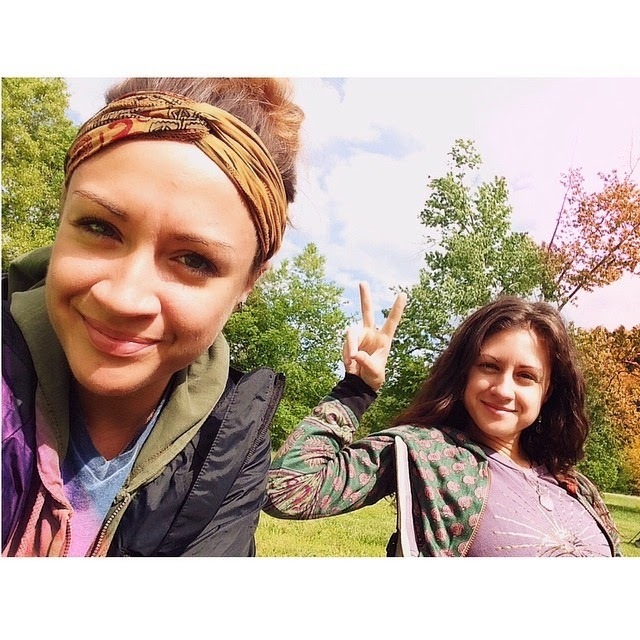 O+W: What does a free spirit mean to you? AM: Not conforming to other people’s ideas of how you should live life; Being open, spontaneous and welcoming; Feeding your soul with whatever it needs. O+W: Favorite festival: any year in particular? AM: Bonnaroo 2010 with my sister. Floyd Fest 2013 comes in second. O+W: Favorite concert you’ve seen to date. AM: I followed O.A.R. and Ozomatli in the Summer of 2008 and got to talk to them after each of the shows. The played a set in a park at Raleigh, NC that was pretty amazing. AM: I believe in living a life you love, even if it means small paychecks. I believe in growing your roots. I believe that in order to be happy and feel good you must do good. So be kind to all living things even if it means going out of your way. Be kind to your body; eat clean, exercise and rest. I believe God has a plan so don’t sweat the small stuff. I believe that everything is connected. We are all in this together. Happy Trails! I can't wait to hear about your experiences! Sending our love, good vibes, and prayers the whole 2,180 miles! If you would like to keep in touch with the McDermid/Adams clan on their journey, you can subscribe to blog or check out any of the social media sites listed below. Thanks Jodi. 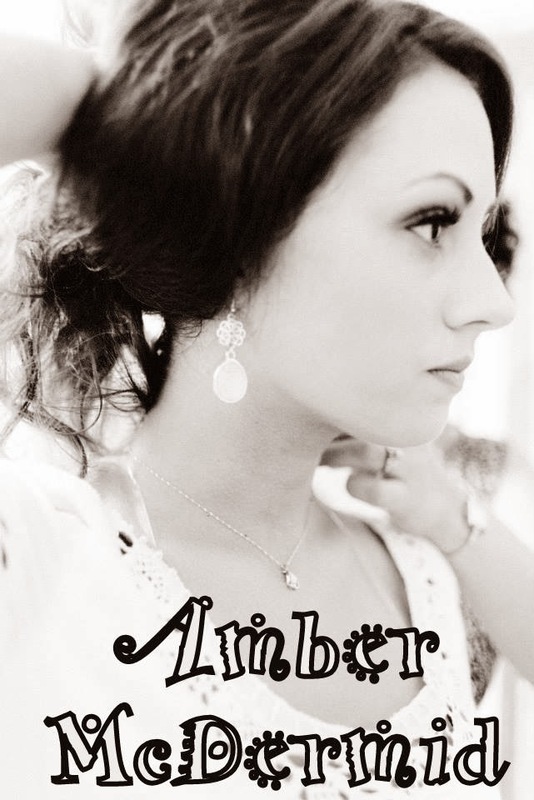 This was a good write up on Amber, my darling Daughter-in-law. She truly is a "free spirit" and we are thankful that God put her in Stace' life. Tanja & John McDermid.